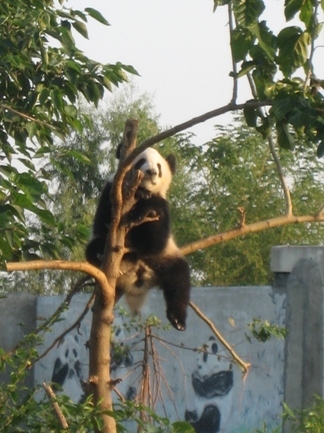 Panda Express is an exciting 11 day volun-tour through China. Travelling from Chengdu to Beijing, you'll spend time helping out at the Panda centre, explore the ancient city of Xi'an with its world-famous Terracotta Warriors, camp on the Great Wall of China, and much more. All aboard the Panda Express ! There is no animal on earth quite like the Giant Panda and this exciting adventure gets you up close and personal with these amazing animals. You’ll go behind the scenes at the Panda centre, helping the permanent team to keep the resident population fed, watered, clean and content. When we move on from the pandas, there are more amazing highlights in store. An overnight train journey takes us to the fabled city of Xi’an where you’ll see the terracotta warriors and cycle the ancient city walls. We’ll learn kung fu in Shaolin and then camp under the stars on the Great Wall of China before ending our journey in Beijing, home to tthe Forbidden City.